Here are answers to some questions you might have about my plushie-making hobby, as well as some that should be useful to anyone who owns a plushie I made. I hope you find them helpful and if you have a question that's not listed here, feel free to ask and maybe I'll add it to this post! Spoiler: When did you start sewing? I don't remember the exact date, but it was in November 2014. I was 18 years old at the time. Someone I was talking to at the time who knew how to hand-sew taught me how. Spoiler: Why did you make sewing a hobby? Well, I've actually been wanting to sew since I was very young but never thought about asking my parents to teach me how. I've always loved stuffed animals and wanted to make some of my own characters. That's why I began sewing! Spoiler: So have you made a lot of your characters? Actually, no. Since making patterns and finding the right fabrics can be difficult, I've made more animals than characters. But I hope to be able to make some more of them! Spoiler: Do you make your own patterns? Yes! I'm still learning at it, but I do make my own patterns. I also use free patterns or patterns I bought sometimes. Spoiler: How long does it take you to make a plushie? It depends on the difficulty and amount of detail, but typically anywhere from two or three days to a week. I haven't kept track of how many hours I spend on them, however. Spoiler: Do you sew by hand or by machine? Originally I only sewed by hand, but now I sew by machine whenever possible. Sometimes I do run into parts that cannot be sewn by machine and have to hand-sew them. The one part that is always sewn by hand still is the opening for stuffing. Spoiler: What materials do you use? My favorite fabrics are fleece, minky, and faux fur. I have used other fabrics before but find these the easiest to work with and the best quality. I stuff my plushies with polyester fiberfill and sometimes plastic pellets inside fabric "bags". Embroidery thread is used for hand-embroidered details (I do not have an embroidery machine) and regular thread is used for sewing and for fingers/toes. I use separate types of thread for hand-sewing and machine-sewing. Plastic eyes and noses are sometimes used. Spoiler: What's the difference between fleece, minky, and faux fur? It's usually easy to tell which one a fabric is by texture and appearance. Fleece has no pile or nap (direction of the pile). Minky has a very short pile; there are other types of minky as well that I use. Rose minky has a rosette-like design on its pile, and rabbit snuggle minky has a very soft pile running in different directions. Faux fur looks and feels like fur, as the name suggests, and has a longer pile than minky. Spoiler: Why must your plushies only be surface washed? To be honest, I don't know how my plushies would handle a machine wash. Even though my sewing has improved greatly, I don't trust machine-washing and drying a handmade plushie, especially if there are hand-sewn parts. Plus, I am not sure if the fabric I use is machine-washable. So, I always suggest to carefully surface-wash the plushie and let it air-dry or gently dry it with a towel. There are also allergen-reducing sprays you can use to remove dust from them. Spoiler: So when do you hand-sew? Only when I come to a part my sewing machine won't sew, like an oddly-shaped marking or an area too thick or awkward. I'm looking for a way to machine-sew fabric faces on instead of hand-sewing them. Spoiler: Are your plushies safe for children? The plushies I make now should be pretty safe. If I use plastic pellets, I put them in a fabric "bag" so they will not fall out. The plastic eyes and noses I have tried have very efficient washers that prevent them from coming out. Once the washer is completely attached, it's impossible to get it back off! I keep in mind who a plushie is for when I make it. My older plushies would be better for adult collectors since I was not as skilled back then, but right now all of those ones are still at my house. Spoiler: What kind of sewing machine do you use? 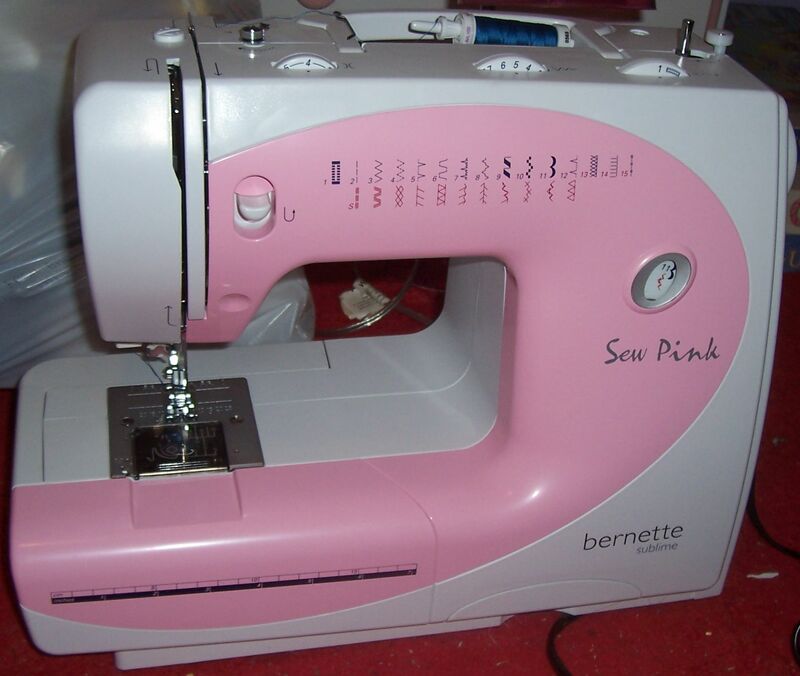 It's a lovely Bernette Sew Pink and it's my first sewing machine! I bought it in July 2017 and it has been very useful to me since. Spoiler: Do you sew anything besides plushies? I have made a few things besides plushies before, like a table runner and Advent calendar. But plushies are my main sewing creations and the ones I enjoy the most. Spoiler: Do you sell plushies you make? Sometimes! There are even a few CF users who bought plushies I made. Spoiler: Do you enjoy sewing? Absolutely! It's a lot of work and takes a lot of time, but it gives me something to do and a way to be creative. And I get to make cute plushies that make people happy which is totally worth it. Multifavs has been doing traditional art since 2000, digital art since 2007, and sewing since 2014. Other creative hobbies she enjoys include writing and music. She hopes to be able to use her talents to serve the Lord and help others. Floppy Puppy - Free Pattern!